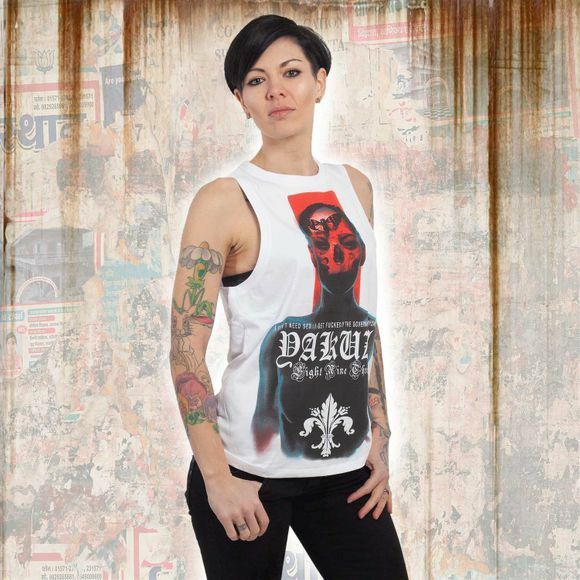 YAKUZA ESCOBAR women's hooded tank top. Eye-catching top with hood, featuring an allover print as well as a woven label on front and Yakuza leather tab on side seam. Please watch out for our size specifications and the washing instructions below.